Brand new living room & dining room furniture. 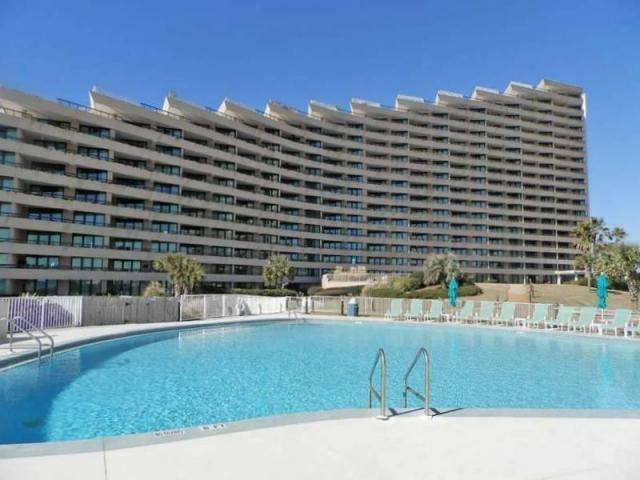 Great price for this larger 2 bdrm unit. WON'T LAST LONG. 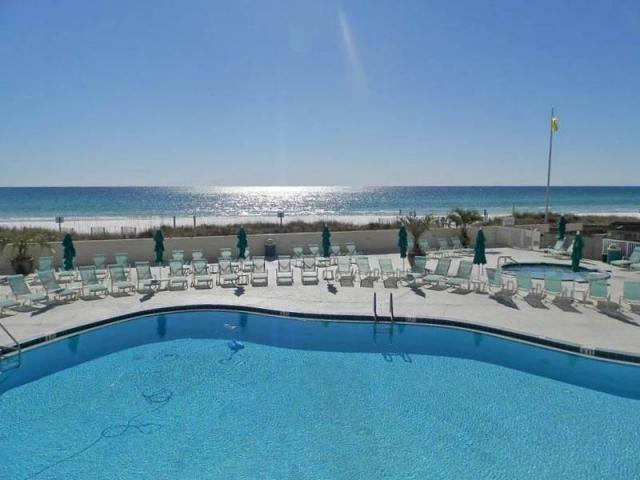 This is a larger 2 bdrm 2 bath at Edgewater; very spacious unit (1215 square feet) is located on the 7th floor which provides fantastic views of the sugar white sand and the emerald green waters of the Gulf of Mexico. The renovations in this unit include, gorgeous granite countertops, new cabinet fronts, appliances, and new lighting in the kitchen. 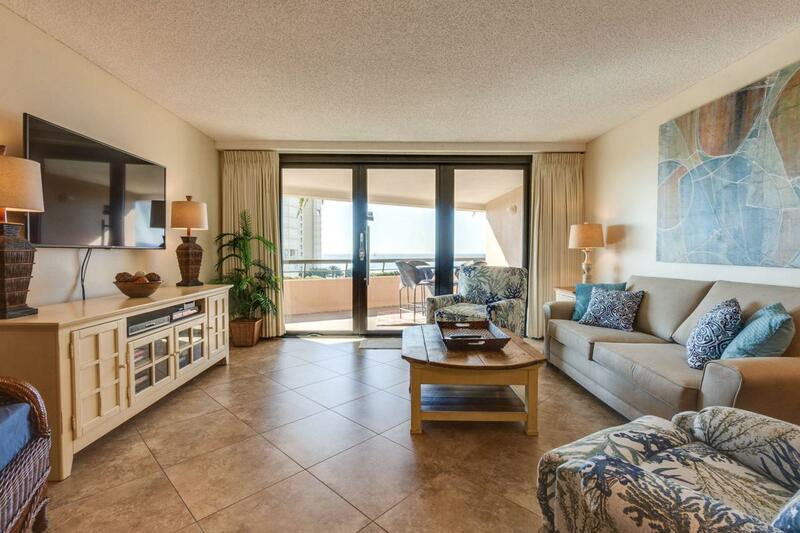 The unit has been superbly maintained, immaculate, and absolutely beautiful. 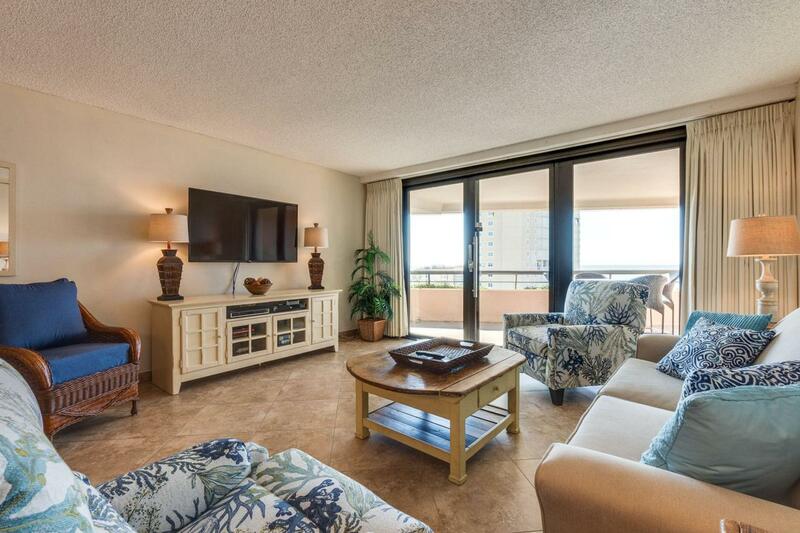 The unit has great rental income with many returning guests coming back . SEE MOREyear after year. This secure gated French Riviera inspired, tropical beach front resort of Edgewater offers many amenities; 420 feet of private pristine sugar white sand beach, 2 huge beachside pools on multiple levels, one with a refreshing waterfall adorned with a poolside Tiki Hut Bar & Grill and one heated during the cooler months, heated adult whirlpool spa, toddler's wading pool and a lot of comfortable loungers and chairs. Beach service is available offering chairs and umbrellas along with kayak and boogie board rentals. State of the art fitness center complete with 8 flat screen TV's and surround sound stereo. There is a basketball court, children's playground and shuffleboard. Within walking distance you can find a grocery store, pharmacy, designer shopping at Silver Sand Outlet Mall and several restaurants. Pets allowed for owners only.